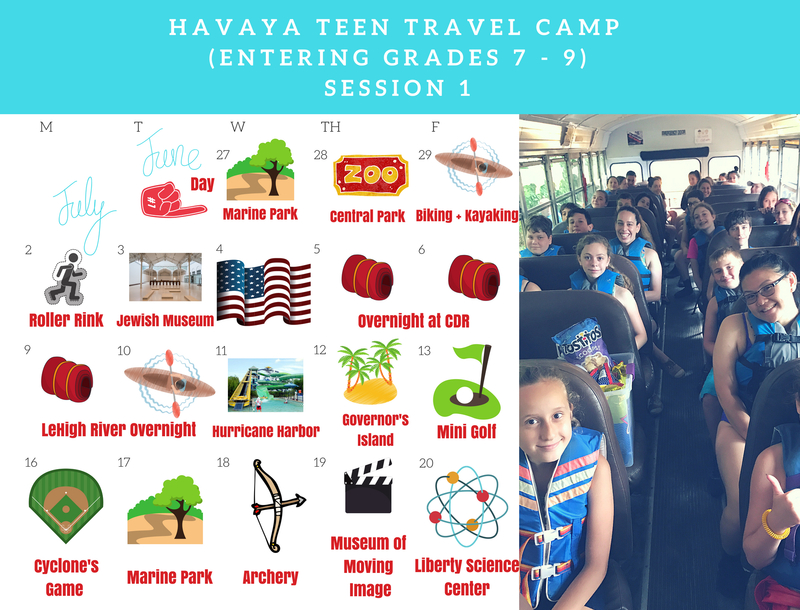 Havaya is an opportunity for teens entering grades 7-9 to experience new adventures, create lifelong friendships and gain leadership skills while participating in unique, enriching and fun experiences. Teens get to explore the outdoors, discover new talents through interactive workshops and participate in group challenges. Along with visits to beaches, museums, theater shows and sporting events, at Havaya, A New Adventure is Always Waiting! 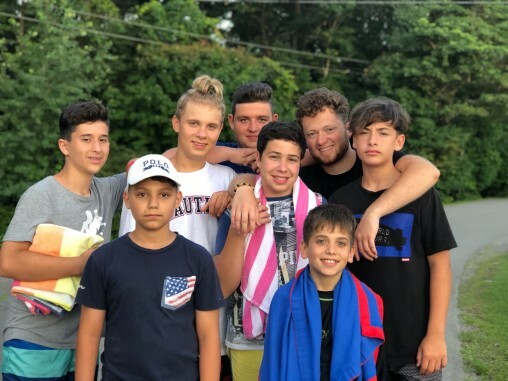 Havaya Overnights are an opportunity for teens to get away from city life and connect with each other in new environments. 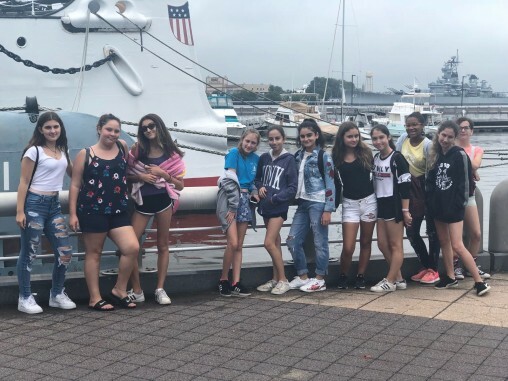 Our overnight trips vary from year to year but always include the elements of learning, teamwork, leadership, and FUN! 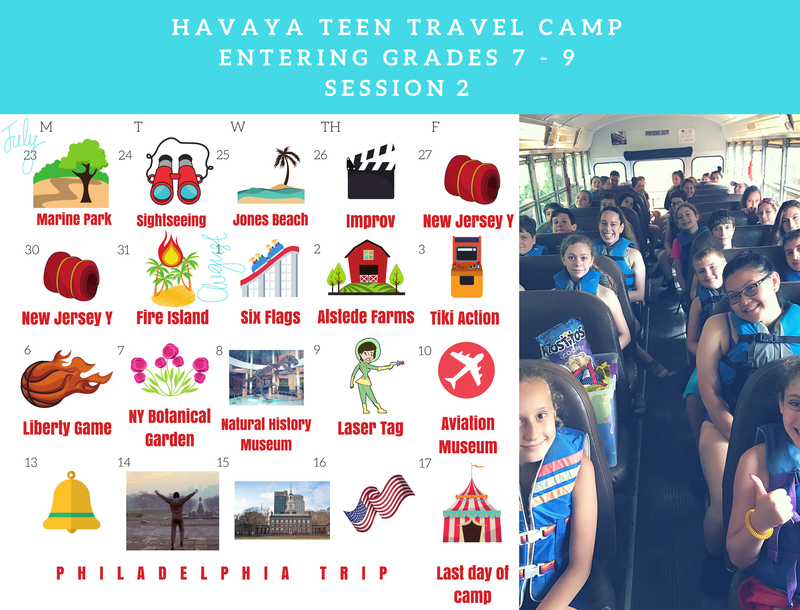 Havaya goes on an annual retreat to New Jersey Y Camps where teens get the chance to experience a traditional sleepaway camp. They can relax by the lake or choose from over 50 daily activities that include sports, swimming, art, science, drama, ropes course challenge. 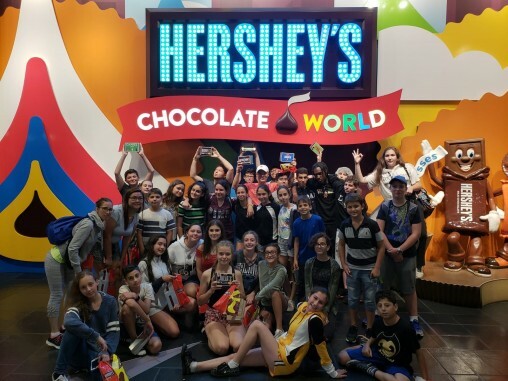 All activities, specialties and programs are designed especially for the older/teen division and relate to the theme of camp. A kosher lunch and snack is provided daily for all campers (Menus will be released in the weeks prior to camp).